Pencils for Kids makes it possible for local youth to learn marketable skills. 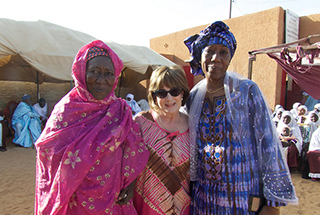 Pencils for Kids founder Robin Mendrick with two friends in Niger. TTAND founder Flemming Friisdahl planning the next conference community event at Casa Clu in PVR. When you see a tiny school where 30 children are sharing one pencil, you know it’s time for change. That’s what happened when Canadian travel and sports photographer Dan Galbraith travelled to Niger, one of Africa’s poorest countries, on assignment in 2005. On his return to Canada, he told his friend, the tireless Robin Mednick, about his experience. That was the inspiration for Pencils for Kids, a Canadian charity where all the staff volunteer their time. Established five years ago, The Travel Agent Next Door now numbers 650 travel advisors and associate advisors across the country. When it was looking for a keynote speaker for its annual conference, TTAND approached Mednick who told them that her fee would be donated 100% to Pencils for Kids. A bond was formed and Pencils for Kids is now the main charity for The Travel Agent Next Door. 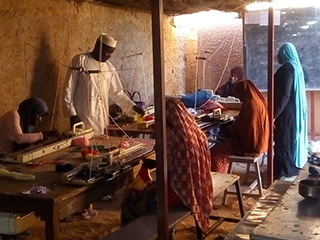 “Niger is an incredibly poor country,” says TTAND’s Penny Martin, Vice-President of Travel Agent Experience. 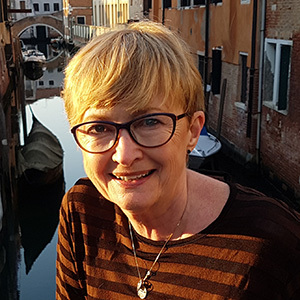 “Some people have to live on less than $1 a day – and not only are children sharing pencils in school, but girls don’t normally get to go to secondary school.” The charity’s grassroots efforts really resonated with TTAND, she adds. After initially rounding up and shipping school supplies, the folks at TTAND realized that their efforts could be longer term and focused on fundraising for education, both on academic and technical (e.g. agricultural, sewing) sides. The first Pencils for Kids schools opened outside Niger’s capital in 2007. “We really related to Pencils for Kids because we also build the skills of our advisors one person at a time,” says Martin. So far TTAND has raised some $40,000 for the charity and, says Martin, staffers and advisors are all so thrilled when they see their donations going towards such a tangible result. Martin also credits suppliers with being a big part of their success: they often provide trips and services to auction off during the conference. And speaking of that annual get-together, TTAND builds in a half-day of optional volunteer work where advisors, head office staff and suppliers can roll up their sleeves and work on a community project. Last year in the D.R. they painted a basketball court. Next year? 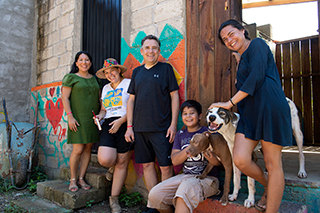 Look for them to be busy building a much-needed fence at Casa Clu, an after-school organization for troubled kids in Puerto Vallarta.